WARNING: This article dispels commonly held beliefs about the uses of coffee filters for preparedness uses. One principle of survival is to use what you have available to accomplish your goals. 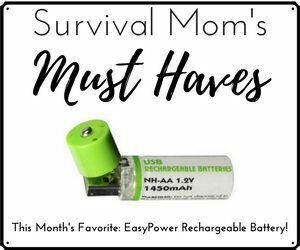 One way to do this is by taking common household objects and discovering what else they can be used for, especially those that are survival related. However, before knowing what an item is good for, you need to test it thoroughly. (We abbreviate this as DYOR-TYP.) 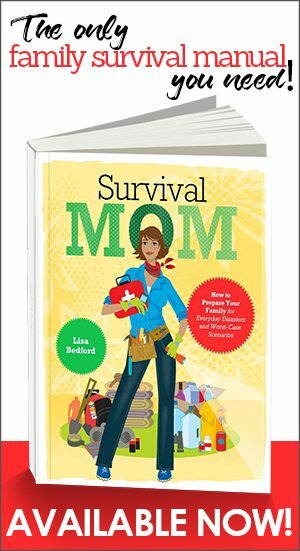 Only by conducting thorough research and testing what you find, will you know what you can rely on and what is a prepper myth. In this article, we look at coffee filters and test them to see what, besides making coffee, we can use them for. 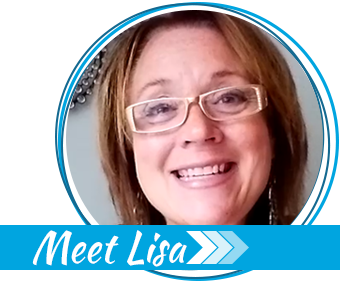 At first glance, because it is a filter, the coffee filter appears to have a multitude of uses, particularly if you believe the vast number of lists that promote all the things you can do with them. They seem like they would be a great item for your go bags. Unfortunately, you will see why this author’s conclusion is that coffee filters are not as multi-purpose as we have been led to believe. There have been so many lists created for the uses for coffee filters it has almost become cliché. Sadly, as we are about to find out, most of these lists are wrong. There are a couple of important things to keep in mind about coffee filters when you consider them for preparedness or camping uses. First, coffee filters are very fragile when wet. Any abrasive use of them when wet will see them fall apart rapidly. Second, you can use a coffee filter for most things where you would use a paper towel or other fibrous paper (like newspaper). However, if you have paper towels available, it would be a waste of a coffee filter, as they serve some important functions that a paper towel cannot, and frankly, they are a poor substitute for paper towels. Paper towels are designed to be absorbent, while coffee filters are designed to filter coffee, but with a typical pore size of 20 microns (or micrometers), they are not a particularly good filter in general. A pack of coffee filters is cheap, and if you have room, may be worth putting in your go bag for the multipurpose uses listed below. 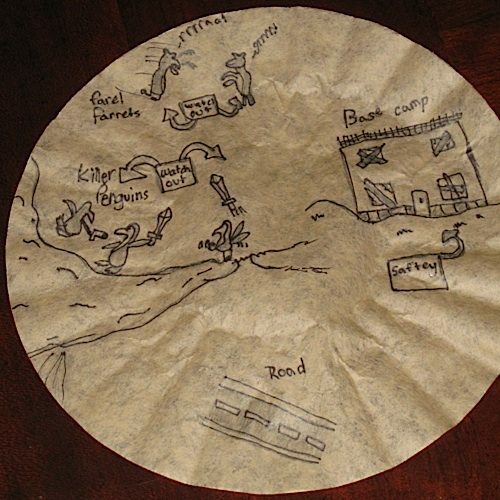 Finding a pack of coffee filters along your evacuation path would be worth grabbing. 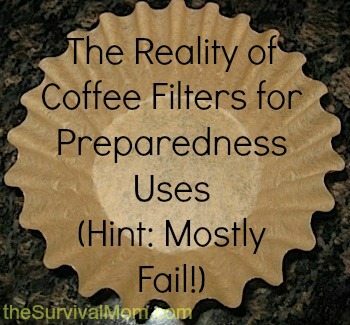 In general, however, most uses for coffee filters we see on most lists are better served with other fabrics or materials, and most have no relation to preparedness at all. Let us take a look at those commonly touted uses and how they fared in testing. The following have potential uses, some better than others. While none may be reason enough to pack these filters in your go bags, they do illustrate some of the legitimate uses for coffee filters. Additionally, if a pack of filters is all you have, here is the best way to use them. 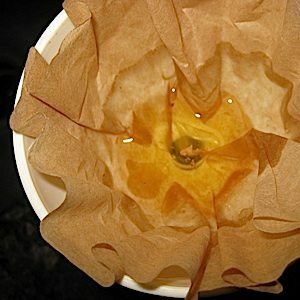 When it comes to expedient uses, the best use for a coffee filter is for filtering water. While it cannot make water safe to drink on its own, it can be a component in filtering water. Wrapping a coffee filter on your intake tube of your water filter will help increase the lifespan of the filter by filtering out larger particles. You could also pre-filter the water by straining through one or two coffee filters into a container, and then filter that water with your water filter. Keep in mind how easily the filter will rip and tear when wet. Another water filtration use for these are in an expedient water filter, made from charcoal, sand, and other local materials, where the coffee filter separates the different media and keeps it from falling through. However, because they are very fragile when wet, their effectiveness for this use is debatable. Any tears or other holes would render the filter achieved less effective. Keeping the layers separated is probably better achieved using cotton or nylon fabric, since they are more durable. When you need a fire, you need a fire. Having oil soaked tinder can help get that fire going faster, which is important in a survival situation. Vaseline-soaked cotton balls are about as good as it gets for homemade tinder, but coffee filters soaked in used vegetable oil work well, too. Given the choice of making one or the other, the cotton ball method would be preferred, but having a pack of filters and soaking up used grease from your cooking pans – or even engine grease and motor oil along your evacuation path – is an expedient method. Keep in mind, though, you can do this with any absorbent material that burns. Not much needs to be said about this, other than if you have a pack of filters, it is another possible use. Certainly not as good as TP itself, but better than using a pine cone. Cutting into smaller pieces can increase the number of uses you get from one filter. How many TP wedges you cut from one filter would depend on your, uh, cleaning efficiency. This is a specific use where packing coffee filters would be a good idea. Most tea already comes in its own tea bag, but you can make infusions from local flora by steeping them in a coffee filter. For example, making tea from pine needles is a good way to get vitamin C, but who wants to drink tea with pine needles in it? Also, pine tea is rather bitter and steeping it with other items is preferred (berries, etc.). If you are careful with the coffee filter and do not tear it, you can dry it out and use it again. It is worth pointing out, though; there are better ways for accomplishing this. Straining the tea through a piece of reusable cheesecloth is one way. Another would be to simply pack reusable cloth tea bags. Bugs do not like cedar. A good dry use for coffee filters is filling them with cedar shavings, tying into a sachet, and put with your stored gear. Cedar is a safe, natural way to keep bugs away from your supplies, and you could make a lot of these sachets from a pack of coffee filters, a cedar plank, and some string. Given the fragility of the filters, you might be better off using small cloth bags for this, too. This is a task that can be also performed with a paper towel, but the bowl-like shape may have some advantages. You can only use food items that are completely dry, as food that is wet will soak into the filter, making it messy and prone to rips. If you have leftovers, or need to wrap food, these could also be used for this. However, because they are porous, they would do little to prevent the food from drying out. Watch out for killer penguins on the way to your safe house! Not as good as real paper, but far better than using a paper towel. If you need to draw a map of your area, or write down important information and forgot or lost your notebook, a coffee filter is a decent substitute. Just keep in mind that it is not as durable when wet as regular paper, which is not all that durable when wet, either. While probably not something you would be doing from the contents of your go bag, you can use these filters to help sprout seeds. Because they are biodegradable, you can plant the seedling, filter and all. Beyond the difficulty of making and maintaining an airtight seal around your nose and mouth with a coffee filter, the pore size of them are too big. The typical filtration size of a coffee filter is approximately 20 microns, however, they are not made to an exacting standard and, thus, are likely to vary in the actual pore size. Even if the filters were made to a consistent pore size, they would be inefficient at filtering out most dust, as you can see in this Particle Size table. Given the poor ability to filter particulate matter and the difficulty in maintaining a good seal, they fail as a dust mask. However, if you have a full or half mask respirator, and can find a way to attach them, using a coffee filter as a pre-filter for your respirator’s filters could be a way to extend the life of that filter. Much like you would when pre-filtering your water. For most mask respirators, this would be as simple as using a rubber band to keep the coffee filter in place over the mask’s filter. 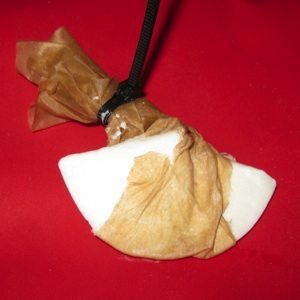 There is a camping trick that uses a bar of soap in a sock, as a way of keeping the soap readily available. Unfortunately, trying this with a coffee filter immediately shreds the filter, as it tears incredibly easy when wet. A quick test at home confirms this. One task that seemed like a good option was as a wick in an expedient oil lamp. Again, testing showed the coffee filter failed miserably and failed to stay lit. It is possible it could be made to work another way, but there are easier expedient wicks. This use appears on most lists: “After you are done washing your cast-iron cookware, place a coffee filter in the bottom of the pan and it will absorb moisture and prevent rust.” While it is true that the filter, or any paper, will absorb water, it absolutely will not prevent rust in your cast iron pans. From experience, this author can tell you using this method will result in rusted cast iron. The best way to keep your cast iron pans from rusting is to keep them well seasoned, and if putting into long-term storage (more than a few months), grease them well. Lining your cast iron is completely unnecessary. Properly seasoned and oiled pans will not rust. If you are concerned with the greasy pans making other items dirty or greasy, store them in a non-absorbent and porous bag or box (not one where moisture can become trapped). We cannot mark this one as a true fail, as you can filter cooking oil with a coffee filter. It works, albeit very, very slowly. If you must filter your oil and have no other filter media, like cheesecloth or a fine mesh strainer, then go ahead and use a coffee filter. Just realize that it will take longer than you might expect. Home testing shows that it took approximately four minutes to filter two ounces of vegetable oil and unless you are only making two french fries at a time, it is likely you will have much more to strain. As you can see, there are some uses for coffee filters other than what they were designed for, but in nearly all cases, they perform poorly. If you were in a survival scenario where you were scrounging materials for creative uses, you could do worse than having coffee filters. However, when deciding what to store with your preparedness supplies, or what items go in the limited space of your go bag, you would be better off finding other items which would serve your needs better. 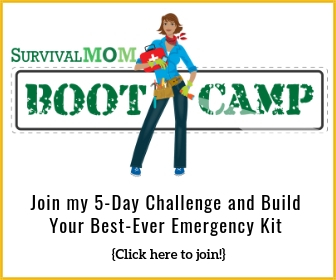 The Survival Mom and World War Z! Thanks for the heads up on this topic. I had planned to conduct my own tests but you covered it a for me. I still carry coffee filters and intend to use them as a pre-filter to my quality gear to.extend their life, and for this specific use I can see the value. I use coffee filters to dry my vegetable seeds on. They peel off the filter nicely unlike a paper towel. Use them to strain fine particles from my tinctures. The oil filtering part works best when the oil is warm. If it is room temp, it will take forever. Coffee filters for filtering the water is a GREAT idea. I went to USAF survival school and one of the problems with using bleach or iodine tablets is the ‘float-ies’ in the water. For some people – if the water looks funny (or funky) they will not drink the water. Using a coffee filter to filter out the larger debries found in outdoor water sources really helps. Don’t say “O’ if they are thirsty – they will drink” That was a myth the survival instructors debunked. we had several students come close to dehydration because they did not like the way the water looked. Its called “food aversion”. So I have a pack of #2 coffee filters in my bug out bag (err… Get home bag). and of course – its my #2 plan for fire tinder. Fabulous article! Some of those lists have always looked a little dubious to me. Now I don’t have to try myself. Many years ago when I worked in a convenience store and got tons of them free, I might have tried them for some of these uses, but I can’t imagine buying or intentionally gathering them That being said; a great non-expedient use is for homemade seed tape. What kind of coffee filters are you getting? They shouldn’t be that fragile, they should be durable enough to run hot water through while keeping coffee grounds secured. That is what they’re made to do. I use them for all sorts of things and have never had an issue with tearing. it takes coffee filters to absorb the same amount of water as 1 paper towel. Coffee filters are not a cost effective alternative to paper towels.